Bill and Gloria Gaither host this power-packed musical celebration featuring Christian music's most-loved female artists. This unprecedented Homecoming gathering brings together women from multiple generations and a variety of musical backgrounds. With more than 90 minutes of soul-stirring moments this gathering offers an incredible look at women who are impacting the world for eternity. 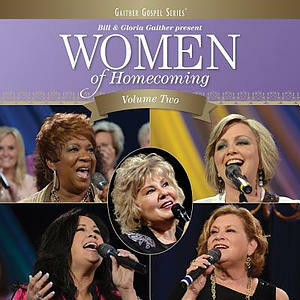 Women Of Homecoming - Vol 2 by Bill & Gloria Gaither & Their Homecoming Friends was published by Capitol in April 2018 and is our 54655th best seller. The ISBN for Women Of Homecoming - Vol 2 is 0617884632229. Be the first to review Women Of Homecoming - Vol 2! Got a question? No problem! Just click here to ask us about Women Of Homecoming - Vol 2.